E-waste management has become the top global issue in terms of environmental protection and resource recycling. Although many attempts have been carried out to address the issue, many problems remain. 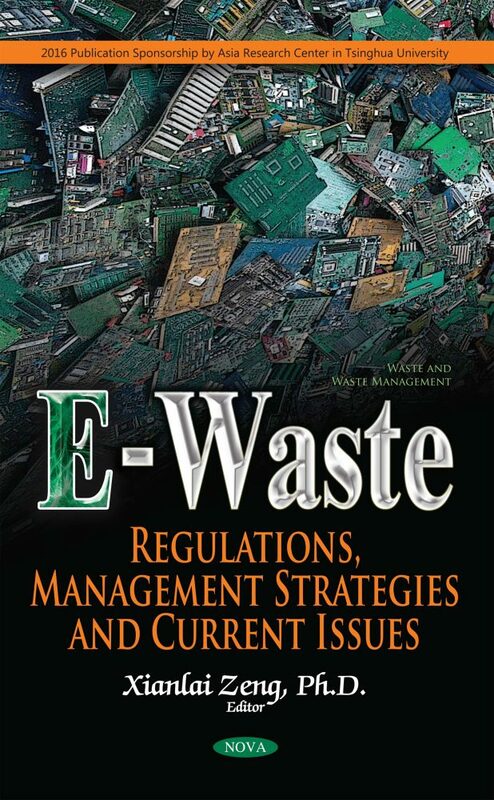 This book contains seven chapters that not only review the history of e-waste management and summarize the achievement of technology and regulation, but also present some of the latest research in these areas involving e-waste generation, extended producer responsibility, and recycling process. Finally, the book reveals the way to solve the global e-waste problem from academic research to national practices. At the research level, the way forward is proposed in three aspects; these include fundamental knowledge, recycling technology, and eco-design. At the practice level, four methods can be prospected for different types of countries and/or regions. Regarding most developed nations, EPR has been adopted to ensure the adequate collection of e-waste. With respect to most developing countries, legislation improving and collection channel strengthening will significantly contribute to e-waste recycling. Regarding small countries or regions ratifying the Basel Convention, mobile plants with efficient amounts of equipment can be promising candidates for e-waste recycling. And for some countries with little e-waste production, a feasible solution for e-waste recycling is that related countries can unite to establish some field facilities for a synergic management of their e-waste.